Indian classical instrumental is a much sought after genre of music all over the world today. 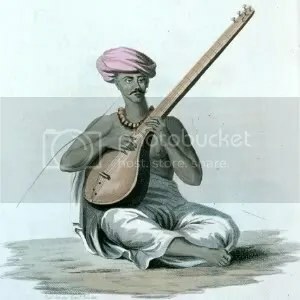 Gone are the days when listeners from Western countries could not make out if the instrument that was being played was sarod or sitar. The only sound that convinced Westerners that the music is really Indian was the constant drone of the tanpura. But thereafter, of course, the sounds of the sitar strings became recognizable everywhere and even got featured in a few Hollywood movies of the 1950s and 1960s. The sound was also noticed by many Rock bands of the West and some experimented with it in their music. Note: Please inter-change the names of the last two songs after you download them. They were wrongly named while uploading. Indian classical musicians worship their instruments as if the Goddess of knowledge, music and art, Saraswati, bestowed them to them herself. During the Monterey International Pop Festival of 1967, legendary guitarist Jimi Hendrix smashed his guitar all over the stage and later burned it into flames at the finale of his performance. Another guitarist, Pete Townshend, followed suit by breaking his guitar into bits and pieces. In sheer contrast, Pandit Ravi Shankar, who also participated, lifted the sitar to his forehead as a mark of respect for the art and the instrument. 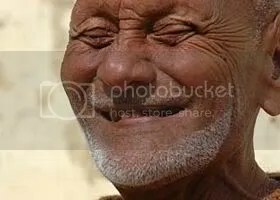 Recently, Ustad Amjad Ali Khan was seen weeping when his sarod was damaged during a flight. Herein lies the divinity of Indian classical music. P.S : In the last song Pandit Ronu Majumdar accompanies Pandit Vishwa Mohan Bhatt on the bansuri. Indian classical music is a part of the Indian heritage, and is said to be found in the oldest scriptures, namely the Vedas. Indian instrumental music is a part of the classical music and is a much revered tradition of India. Globally, Indian instrumental classical music has greater acceptance than classical vocal music. The reason attributed for this is that the lyrics in Indian vocal music are incomprehensible to people other than Indians. Presented here are four of the most delightful performances on various instruments. The idea of Jugalbandi (duet) perhaps was born out of the curiosity of both the artist and listeners to see how a certain star or style fares in relation to another. The modern day jugalbandi is a ‘duel with a difference‘ in that it is a highly positive and creative exercise, born of the great degree of mutual respect between the players. The object is primarily to create synergy of sound in a celebration of the solidity of structure in Indian classical music which enables two perfect strangers to come together before an audience and make music together on the spot. For the listener however, it cannot be denied that the spirit of competition between titans is of great attraction. Perhaps, it is this which makes jugalbandi the most popular concert format in comtemporary times. Sitar maestro Ustad Vilayat Khan had a minor, but distinguished, presence as a jugalbandi artist. During the 1950’s he did several memorable concerts with the sarod maestro, Ustad Ali Akbar Khan, whom he admired immensely. During the 1960s, he released two LPs of duets with his brother, Ustad Imrat Khan, on the surbahar. Thereafter, the sitar-surbahar duet of the brothers was also featured sporadically on the concert circuit. 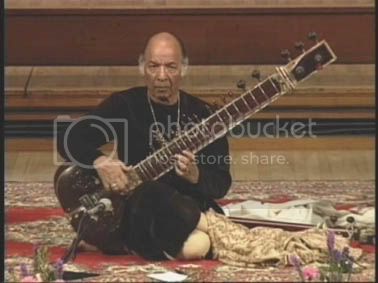 Starting from the 1980s, Vilayat Khan occasionally performed duets with his son, Shujaat Khan, on the surbahar. 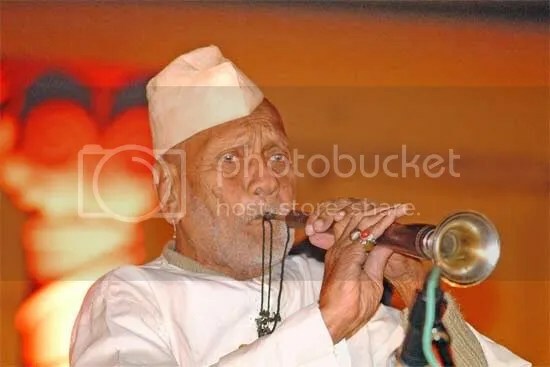 By far the most durable, and also successful, partnership Ustad Vilayat Khan enjoyed was with the Shehnai maestro, Ustad Bismillah Khan. It was a reflection of their mutual affection and respect, as much as their parity in stature and compatibility as musicians. Their concerts were always sold out, and their recordings are prized collector’s items. Notice the excellent rapport between the two maestros, and the ecstasic and electrifying built-up towards the end. Ustad Vilayat Khan also sings in the above compositions. Accompanying them on the tabla is Sabir Khan.